The following article was presented at the above conference on 21. Feb. 2008, in Tehran at 10am. It is common to contrast pacifism with just war theory. Pacifism holds that all wars are wrong, while just war theory holds that under certain conditions, war is just. However, pacifism has also been interpreted as a commitment to peace and a rejection of war except in some but not all cases of self-defense or humanitarian intervention. The term “just war pacifism” or “contingent pacifism” has been used to describe the view that under the conditions of modern warfare, it is morally wrong to engage in war. It is generally recognized that in Islamic traditions of legal, political, and moral thinking, something analogous to the Western just war theory is prominent. In this paper, a comparison is made between Western and Islamic just war conditions. It is then argued that under current conditions, the criteria needed to provide a moral justification for just war in Islam fail to obtain for an important range of armed conflicts, and that this conclusion may be considered an argument for a conditional Islamic just war pacifism. The extent and limitations of this kind of argument are also briefly discussed. Finally, the example of Zaynab, the daughter of Imam ‘Ali (peace be with them), is given as indicating the kind of resistance to oppression in harmony with the just war pacifism outlined in the paper. Keywords: just war, pacifism, just war pacifism, contingent pacifism, moral theory, jus ad bellum, jus in bello, Zaynab. In this paper an attempt is made to reconcile three different conceptions of war and peace, or perhaps it would be better to say, three different traditions of thought about issues pertaining to war and peace: (1) Islam; (2) Just War Theory; and (3) Pacifism. These traditions are often understood as providing three incompatible approaches to the issues of war and peace. Islam is sometimes interpreted (among extremist Muslim groups as well as right wing groups in the West) as teaching a doctrine of jihad as a kind of holy war whose objective is the subjugation of the entire world. As such, Islamic teachings about jihad are considered to be contrary to those developed in the just war tradition in the West. The just war tradition is usually taken to have its beginnings in Augustine’s writings. It is still defended by many today as a foundation for ethics, political thought, and international jurisprudence pertaining to issues of war and peace. Just war theory is taken to delineate the conditions under which was may be morally, politically, and/or legally permissible to engage in war, and, thus, it is considered to be incompatible with a third tradition, that of pacifism, that is generally opposed to violence and war. In order to reconcile these three traditions, it is necessary to correct mistaken views about Islam and jihad, and to revise our understanding of both just war theory and pacifism. The program of Islam for the prevention of violence and avoidance of war, injustice and oppression is one that operates on many different dimensions: spiritual, moral, social, cultural, economic, and political. As divine guidance for humanity, it is announced in the Qur’an that Islam has been established to bring peace and fraternal relations in place of enmity: (Hold fast, all together, to Allah’s cord, and do not be divided into sects. And remember Allah’s blessing upon you when you were enemies, then He brought your hearts together, so you became brothers with His blessing. And you were on the brink of a pit of fire, from whence He saved you.) (3:103) There is much to reflect upon in this ayah. It tells us that enmity brought the pagan Arabs near to damnation and that they were saved by God when by His blessings their enmity was replaced by brotherhood. However, the teachings of Islam with regard to peace should not be seen as primarily concerned with a cessation of hostilities, for they go much deeper and encompass all the areas of human life. Islamic teachings are to be found in the Qur’an and hadiths, in ethics and ‘irfan and in ‘ilm al-nafs regarding the inner causes of haram violence, anger, hatred and jealousy, and methods for controlling them. The examples of the Prophet and of his Ahl al-Bayt provide ample resources to examine cases in which violent conflict threatened the Muslim community from within or plunged it into civil strife. These cases need to be reviewed in order to understand the measures that were proposed by the divine guides to avert or end such internal strife. In the third phase we should consider relations between Muslims and non-Muslims. This phase can be divided into four sorts of cases: (1) Muslim minorities in non-Muslim lands, the paradigm of which is to be found in the group of Muslims sent by the Prophet (s) to Ethiopia to avoid persecution; (2) Muslim relations with non-Muslim minorities living among them (the paradigm for which is the protection offered by the Prophet (s) for the Peoples of the Book); (3) relations between Muslims and non-Muslims under different governments (the paradigm of which is to be found in the treaty agreements offered by the Prophet (s) to many non-Muslim tribes and states); and finally, (4) relations of Muslims to non-Muslims among whom there are conflicts. According to a narration attributed to Imam Sadiq (‘a), when asked whether Muslims could sell weapons to non-Muslims who were at war with one another, he replied that armor and shields could be sold to them, but not weapons with which they could kill one another. As Barry Paskins and many others have observed, the main elements of just war theory can be found in various religious traditions, although it has been developed in the particular format in which it is usually presented by Christian philosophers and jurists. Paskins argues that it is likely for a just war tradition to develop in the religious thinking of people who hold life to be sacred, who hold that revelation completes reason rather than superceding it, who devote theological reflection to the problems of peace and war, and that this reflection should be carried out by theologians whose concerns are aligned with those of the state. On this basis, Paskins contends that classical just war theory can be expected to have essentially the same status in Christianity, Judaism and Islam. When the Cold War ended, there was considerable casting-around in ‘the West’ for a ‘new’ enemy to take the place of the defeated Soviet Union and a prime candidate was ‘fundamentalist Islam’. This shadowy entity was held to be devoted to the violent overthrow of the West and its presentation tended to dehumanize and demonize important developments throughout the Muslim world. As the just war tradition has been developed in the West, it is traditionally divided into two parts: jus ad bellum and jus in bello, pertaining to the issues of when it is just to go to war and how to conduct a war in a just manner, respectively. Both of these issues have been discussed in detail by Muslim jurists. As for jus ad bellum, this may divided into five parts: (A) just cause; (B) right authority; (C) right intention; (D) proportionality; and (E) last resort. The second issue has been especially vexed. The authority under which jihad is waged is at once both religious and political. Historically, the unification of religious and political authority has more often than not remained an unrealized ideal. Exactly when the ideal has been realized, and what to do when it is not, are two central points of controversy within the Islamic world. The Shi‘ah, for the most part, have argued that no offensive jihad can be launched during the period of the occultation of the Twelfth Imam (‘a) because of the absence of legitimate unified religious and political authority to do so. Arjomand’s discussion of the early development of this position is worth quoting at length. As for the jihad involving actual warfare, the obligation to undertake it became narrowly circumscribed in the time of the occultation. Al-Mufid (d. 413/1022), following Kulayni, added the dar al-iman (the realm of faith) to the traditional dichotomy of the dar al-Islam (house/realm of Islam) and the dar al-kufr (realm of infidelity), and presented jihad as the (nonviolent) struggle to convert the realm of Islam to the realm of faith (i.e. Shi‘ism), postponing the onslaught of the infidels. A generation later, al-Tusi (d. 460/1067) considered holy war in the absence of the Imam an error (khata), and over two centuries later, the Muhaqqiq al-Hilli (d. 676/1277) similarly ruled that jihad was not obligatory unless the believer was summoned by the Imam. Except for a passage in which jihad was considered “commendable” (mustahabb) but not obligatory on the frontier in the absence of the Imam, the possibility of holy war during the occultation was not envisaged. Therefore, the Muhaqqiq in effect limited jihad to defensive war. If a person strikes people with his sword and calls them to himself, and if there is someone among Muslims who is more knowledgeable [about the Will of God] than he, then he is certainly misguided and false. Prohibitions against jihad during the occultation were seen by some as requiring passivity in the face of unjust rule, and for this reason, the British are said to have imagined that Mahdism could be promoted as a device to quell unrest in their Muslim colonies. The idea proved to be mistaken because there are three ways in which belief in the Mahdi can become activist, and even violent: first, someone might appear who claims to be the Mahdi. This happened in the Sudan at the end of the 19th century. Second, active struggle may be seen as required to prepare the way for the Mahdi’s reappearance. This was a theme that was exploited by Ali Shari‘ati in his efforts to gain support among the Shi‘ite masses to overthrow the Shah of Iran. Third, and this is a common view among contemporary Shi‘ite ‘ulama, the responsibilities of the Imam may fall upon the jurists during the absence of the Imam. Exactly the extent to which the delegation of authority to the jurists is to be understood, is a matter of contention, especially with regard to the issue of jihad, although it is usually held that the initiation of jihad against unbelievers can only be valid if led by the Mahdi, the Twelfth Imam (‘a) after his reappearance. Even the most bellicose of Muslim theorists saw the aim of jihad as the establishment of peace. Fighting is never advocated for its own sake, but only in order to rid the world of oppression and fitnah by establishing a pax Islamica in the realms in which societies are governed in accordance with the shari‘ah. As for the manner in which war is to be fought, jus in bello, two principles are commonly mentioned: discrimination and proportionality. The first principle requires that the harm caused by war be restricted, as far as possible, to military targets. Thus, civilian and military targets must be discriminated. Proportionality is mentioned as a condition both of jus ad bellum and jus in bello. It requires, in the first case, that the evil wrought by warfare should be less than the evil that would result if one did not engage in war; and in the second case, it requires that war should be fought in such a way that there should be no more than the minimum amount of property damage and bloodshed needed for victory. A survey of the opinions of Muslim jurists on the issues mentioned above would demonstrate that there is no single doctrine of jihad that is universally accepted by Muslim scholars. The concerns that various scholars have raised with respect to these issues often reflect the political and ideological environments in which attempt have been made to understand divine law. When the issue of revolutionary struggle was prominent among the Shi‘ah in Iran, scholars such as Imam Khomeini, Ayatullah Taleqani, and Shahid Mutahhari sought to explain how Islam does not neglect the right of a people to rebel against oppression. Underlying the discussion is an awareness of the leftist criticism that Islam is hidebound, and that only Marxism provides the ideological framework for struggles of national liberation. Nevertheless, there is sufficient cohesion in the opinions that have been given to say that we can discern a doctrine of just war in Islam. The shari‘ah restricts wars to combat against injustice (as judged by Islamic standards), and it requires that combat take as humane a form as is consistent with the achievement of its aims. Pacifism has been defined in many ways resulting, according to one count, in twenty-nine types of religious pacifism. The word pacifism did not appear until the early twentieth century. It is generally understood as a commitment to peace and opposition to war. In its most extreme form, sometimes called absolute pacifism, it requires the rejection of all forms of violence under any circumstances as impermissible. The rejection of the “sword” became a dominant position among most Anabaptist sects during the Reformation in the sixteenth century. Pacifism has both a positive and a negative side. The negative side is the opposition to war. Such opposition can be purely personal, such as a refusal to take up arms, or it can be political, in which case it entails active opposition to policies of war or that lead to war. The positive side of pacifism is its commitment to peace. Again, it can be purely personal or be expressed in political activity. The commitment to peace requires one to seek alternatives to violence in order solve disputes and to oppose injustice. Absolute pacifism is often contrasted with conditional or contingent pacifism. Conditional pacifism also rejects war and is committed to peace, but there are exceptions and limitations. The most commonly discussed exception is personal defense. Some pacifists allow that there can be cases in which lethal force is justifiable in police work. Others hold that some kinds of wars may be permitted but not others. For example, a common form of conditional pacifism is absolutely opposed to nuclear war, but makes exceptions for wars fought with conventional weapons. Just war theory may be considered a particular form of conditional pacifism. Usually, just war theory is contrasted with pacifism, but what is understood by “pacifism” is taken to be absolute pacifism. There are other differences between just war theory and pacifism. Pacifists usually base their position on religious principles, whereas just war theorists hold their doctrine to be included in natural law and hence independent of whatever scriptural authority might be brought in its favor. In practice, just war theory is often employed to show how a particular war can be morally justified, while pacifist ideals are generally employed to justify conscientious objection or opposition to a war. Most importantly, however, just war theory does not have much to say about how to build peace or find alternatives to violent means of settling disputes among persons or nations or how to stand up against injustice and oppression in an effective way that is not violent. Just war theory is a deontological theory, that is, a theory based on conceptions of obligations and rights. Pacifism, in contrast, is a moral and spiritual stance that one attempts to realize throughout one’s life. Just war theory is an abstract theory that at its worst seems casuistic. Pacifism is sustained through a community of believers. Although I have argued that Islamic teachings about jihad bear a striking resemblance to Christian just war theories, if we compare just war theory with pacifism in accordance with the points mentioned above, we may find that the ideals of Islam will coincide more with some form of conditional pacifism than with just war theory, at least as just war theory has often been understood. Islamic teachings about war and peace, like pacifism, are grounded in theology. It is held that much of what Islam requires is confirmed by natural reason, too, but the structure and motivation for the position come from religion rather than pure reason. In practice, unfortunately, Islamic teachings about violence have often been used to excuse violence rather than to condemn it; and in this regard, it may be compared to just war theory. There have, however, been outstanding cases in Shi‘ite history in which Islamic teachings about war and violence have been used in order to persuade the Shi‘ah that they are not obligated to fight in a so-called “jihad” led by a tyrant. With respect to alternatives to violence and a commitment to peace, we can find that Islamic teachings contain a great wealth of resources in this regard. In both the Qur’an and in hadiths there is much about the value of forgiveness, and settling disputes through conciliation. In Islamic law there are provisions for coming to equitable resolutions to financial, marital and other sorts of disputes. With regard to developing non-violent means to oppose oppression and injustice, although Islam regards fighting as an evil in itself, and urges the used of treaties and other means of conciliation, Muslims have too often, like just warriors, assumed that there is no better way than violence to achieve just aims. With regard to the distinction between deontological system and spirituality, Islam contains both elements. Ideally they should compliment each other in a harmonious way with the spiritual element dominant and providing motivation for a moral understanding and application of divine law. Like pacifism, Islamic teachings on peace can only be successfully sustained through a community of believers, and are much more than an abstract set of rules. The term just war pacifism has been used by a number of writers to emphasize that just war theory can be considered a kind of conditional pacifism, and that it can be employed to argue against war and not to excuse war. Just war pacifism has been attacked by absolute pacifists primarily on two grounds: religious, and practical. On religious grounds it is argued that Jesus (‘a) taught and lived a complete renunciation of violence. Against this view it is argued that there is evidence in the gospels sufficient to show that Jesus (‘a) was willing to condone violent opposition to injustice. Here we will not attempt to adjudicate the theological disagreements among Christians. Needless to say, from the point of view of Islamic theology, the teachings of Jesus (‘a) do not differ in essence from those of Islam. Muslims hold that if Jesus (‘a) had been faced with the sorts of circumstances that arose during the life of Muhammad (s), he would have acted in essentially the same manner. In circumstances in which taking up the sword was commanded by God, no prophet would refuse. Hence, if we find a kind of pacifism in the life of Jesus (‘a), it should be understood as a conditional or contingent pacifism. The argument that Muhammad (s) could have been expected to abjure the use of the sword had he been faced with the sorts of circumstances in which Jesus (‘a) found himself is not difficult to support, for there were periods during his life when he suffered persecution without responding with the sword, and in which he advised his followers with similar patience. The practical argument against conditional pacifism is that any exceptions to an absolute prohibition of violence will lead to the abuse of those conditions as loopholes by which to rationalize whatever war or violence seems exigent at the time. History has proven that just war theory leads to abuses, and the theory is used to provide excuses for unjust wars. Against this view it may be argued that the fact that a theory is abused does not show that it is wrong. The answer to the abuses of just war theory is not a dismissal of the theory but argument against the abuses, and demonstration of the proper use of the theory. It will also be objected using the word “pacifism” for some form of conditional or contingent pacifism that is consistent with just war theory is a misleading way of playing with words. Real pacifism is absolute pacifism, it will be contended, and anything less only compromises the commitment to peace. To the contrary, a number of recent theorists have been arguing that what defines the essence of pacifism is the positive commitment to seeking justice through peaceful alternatives to violence, dedication to pointing out the injustices of wars and opposition to these injustices, and a life in which the values and commitments to peace and nonviolence and opposition to war are central. Such values are compatible with the acceptance of just war theory; indeed, I would argue that they are compatible with the sort of just war theory found in Islamic teachings. The idea of any sort of Islamic pacifism will seem like a misnomer to many. However, if we understand the essence of pacifism to lie in the stance of a life lived in submission to God that seeks to abstain from doing harm, and that seeks alternatives to violence and war in recognition that under current circumstances, war cannot be carried on in a manner that conforms with religious strictures, it may not seem inappropriate to speak of an Islamic just war pacifism. Islamic just war pacifism will not be an absolute refusal to engage in war. The permissibility of defensive warfare in Islam may be conceded, (although even here there is much room for debate). In recent speeches by officials of the Islamic Republic of Iran it has been asserted that the time for war is past, and that political goals cannot be achieved through war. Huge armies and arsenals of nuclear weapons did not save the Soviet Union from collapse, and so, security must be achieved by communication and diplomacy instead of the force of arms. This sort of statement is dismissed by many commentators as mere rhetoric. Certainly, Iran is not about to disarm because of its desire to find a peaceful solution to international relations. However, I would suggest that the rhetoric of peace by Iranian official should be taken more seriously, because it reflects a religious imperative to find nonviolent means to settle disputes. The statements of the Iranian officials seem to provide merely pragmatic reasons for seeking peace: war is not an effective instrument for achieving political aims. There is also a religious reason for seeking peaceful solutions to problems: Islam requires that we avoid harming others. A version of Islamic just war pacifism that goes beyond the statements of any government officials can be found in the works of Chaiwat Satha-Anand (Qader Muheideen), who argues that since the technology of modern warfare makes it impossible to discriminate in war between combatants and non-combatants, modern warfare does not satisfy the conditions needed for just war in Islam and hence, Muslims must find alternative means to seek just peace. A case for Islamic just war pacifism would be even stronger in the light of Shi‘ite teachings, according to which conditions of doubt about the effects of violence require that jihad be led by an infallible Imam. While this has been interpreted to mean that only defensive war is permissible during the period of occultation, the restriction may be widened to include even defensive military actions when their aims might be met by other means, because of the effects of even defensive warfare that are unknown to fallible human beings. These consideration provide religious motivation for an Islamic just war pacifism that is not absolute, does not unconditionally reject the use of arms, but is seriously committed to exploring alternatives and finding nonviolent methods to pursue justice, and may find expression in living commitment to seeking justice and peace. In classical deliberations about jihad, jurists often posed the issue of delivery of the message of Islam as a cause for jihad, that is, it was debated whether one could initiate jihad for the sake of bringing the message of Islam to a people whose government prohibited the propagation of Islam. Today, most non-Islamic governments do not prohibit Islamic religious propagation, and, in any case, propagation of religion can take place through media and does not require sending people over boarders, as was presumed in the classical jurisprudence. This implies that one of the major reasons used by some jurists to justify jihad is no longer applicable to the circumstances of the modern world, and the aim of inviting people to Islam can be achieved through peaceful means. In the speech reportedly given by Zaynab (‘a) at the court of Yazid subsequent to the martyrdom of her brother, Imam Husayn (‘a), at order of Yazid, we find a perfect realization of the Islamic just war pacifism outlined above. In order to see this we provide a synopsis and selection of her statements, followed by a brief analysis. It is reported in a text from the 3rd/9th century that the daughter of Imam ‘Ali and sister of Imam Husayn, Zaynab (peace be with them) spoke at the court of Yazid when she was brought there after the tragedy of Karbala. Yazid recited some blasphemous doggerel and said that he wanted to take revenge upon the descendants of Muhammad because Muhammad and his companions had killed his polytheist ancestors in battle. Zaynab is reported to have said in response, “O Yazid! Allah and His Prophet have said that committing sins and considering the signs of Allah to be false is ridiculing them,” where it was understood that holding the signs of God in derision is cause to expect divine chastisement. Here, according to the report, by the signs of God she means the members of the household of the Prophet. It is reported that Yazid had the severed head of the beloved grandson of the Prophet (s) brought to his court where he and others kicked it about with their feet and with sticks. The message delivered here to the caliph makes the point that one cannot achieve greatness through killing, and one cannot remove the blessings God has given to others by killing or tormenting them. The gains won by such methods may appear to be advantageous, but they will reap divine punishment. Then Zaynab reminded Yazid that when the Prophet conqured Macca (8 A.H.) he forgave all the men and women who had fought against him and set them free. Yazid himself was a descendant of those who had been forgiven. The point of these comments is: (1) to contrast the noble behavior of the Prophet with Yazid’s actions; (2) to remind Yazid that it would be more appropriate for him to return the favor, and to release the descendents of the Prophet; (3) to point out that Yazid’s actions were in line with the opposition of his ancestors to Islam. She continues to remind Yazid that his actions will be cause for divine punishment. She never threatens him with the vengeance of the descendents of the Prophet or with violence from their followers; instead she only warns him of the divine punishment due for his sins. By saying this, Zaynab indicates that God’s punishment of Yazid is not due to some sort of divine prejudice against him, but is due to his own evil actions. Furthermore, she reminds him of the value of martyrdom according to the teachings of the Qur’an. Worldly power and killing are contrasted with divine reward and life in the hereafter for those who are killed for God’s sake. O Yazid! On the day when Allah will be the Judge and Muhammad will be the petitioner, and your limbs will give evidence against you, your father, who made you the ruler of the Muslims, will receive His punishment. On that day it will become known what reward the oppressors earn, whose position is worse and whose party is more humble. O enemy of Allah and O son of the enemy of Allah! I swear by Allah that I consider you to be base and not fit even to be reprimanded and reproached. But what am I to do? Our eyes are shedding tears, our hearts are burning, and our martyrs cannot come to life by our reprimanding and reproaching you. My Husayn has been killed and the partisans of Satan are taking us to the fools so that they may get their reward for insulting Allah. Our blood is dripping from their hands and our flesh is falling down from their mouths. The sacred bodies of the martyrs have been placed at the disposal of the wolves and other carnivorous animals of the jungle. If you have gained something today by shedding blood, you will certainly be a loser on the Day of Judgment. On that day nothing but your deeds will count. The key to understanding this statement is the sentence we have put in boldface, above. The enemies of Islam may think that they can make gains against the Muslims by killing, by shedding blood, by violence and warfare, but those who use such means in order to achieve worldly goals such as political power and wealth will lose on the day of judgment. Implicit in Zaynab’s statements is an acceptance of the fact that the use of the sword in self-defense is justified. Fighting and being killed in this way is meritorious. Here we find the doctrine of jihad as fighting on the path toward God, but this fighting is to be done in accord with all of the provisions of divine law. Yazid is condemned for his failure to abide by the precepts of Islam while he claims to be its caliph. His failure to act in accord with Islam is made most plain by contrasting the forgiveness offered by the Prophet to his enemies when he had power over them as opposed to the slaughter by Yazid of Husayn and those who followed him when Yazid had power. The difference between the just fighting of Husayn as opposed to the unjust fighting of Yazid locates the position advocated by Zaynab as an instance of just war doctrine and jihad at the same time. In addition, Zaynab declares that shedding blood will be punished by God, and that the worldly gains this may bring are accompanied by an infinitely greater loss in the sight of God. The position taken by Zaynab (‘a) may be considered as a form of pacifism, not because it makes any absolute prohibition against fighting or fails to see fighting as obligatory in some situations, but because it is clearly and firmly opposed to bloodshed and oppression. Although it is understood to be self-evident that fighting in self-defense is justified, just war argumentation is not used by Zaynab to justify killing, but to condemn it. The attack on Husayn (‘a) and his companions goes beyond the bounds set by Islam. On the positive side, Zaynab emphasizes the forgiveness of enemies according to the example of her grandfather, the Prophet Muhammad (s), the entrusting of vengeance to divine punishments in the afterlife, and the promotion of justice and the rule of divine law. Furthermore, in speaking out, she courageously demonstrates how injustice may be resisted in a peaceful manner. The composure with which she speaks so eloquently is also evidence on the deeper inner peace given her by the grace of God in Whom we seek refuge from violence, war, oppression, and all the evil and harm of this world. Abedi, Mehdi and Gary Legenhausen, eds., Jihad and Shahadat: Struggle and Martyrdom in Islam, Houston: IRIS, 1986. Abu-Nimer, Mohammed, Nonviolence and Peace Building in Islam: Theory and Practice, Gainsville: University Press of Florida, 2003. Arjomand, Said Amir, The Shadow of God and the Hidden Imam, Chicago: University of Chicago Press, 1984. Fiala, Andrew, Practical Pacifism, New York: Algora, 2004. Faridzadeh, Mehdi, ed., Philosophies of Peace and Just War, New York: Global Scholarly Publications, 2004. Hashmi, Sohail, (ed. ), Islamic Political Ethics: civil society, pluralism and conflict. Princeton: Princeton University Press, 2002. Johnson, James Turner, “Theoretical Contexts of Studies on Peace and Just War,” in Faridzadeh (2004), 13-27. Johnson, James Turner, Just War Tradition and the Restrain of War, Princeton: Princeton University Press, 1981. Johnson, James Turner, Ideology, Reason and the limitation of War, Princeton: Princeton University Press, 1975. Kohlberg, Etan, “The Development of the Imami Shi‘i Doctrine of Jihad,” Zeitschrift der Deutschen Morgenlandischen Gesellschaft, 126, 1976, 64-86. Mellow, David, “Iraq: A Morally Justified Resort to War,” in Rodin (2007), 51-70. Nasr, Seyyed Hossein, “Isalm and the Question of Violence,” Al-Serat, Vol. XIII, No. 2, 1987, URL = http://www.al-islam.org/al-serat/IslamAndViolence.htm. Paskins, Barry, “Violence, Warfare and Peace,” in Companion Encyclopedia of Theology, eds. Peter Byrne and Leslie Houlden, London: Routledge, 1995, 716-737. Qureshi, Emran and Michael A. Sells, eds., The New Crusades: Constructing the Muslim Enemy, New York: Columbia University Press, 2003. Rawls, John, A Theory of Justice, Cambridge: Harvard University Press, 1971. Rodin, David, ed., War, Torture and Terrorism: Ethics and War in the 21st Century, Oxford: Blackwell, 2007. Sachedina, Abdulaziz A., The Just Ruler in Shi‘ite Islam, New York and Oxford: Oxford University Press, 1988. Said, Abdul Aziz, Nathan C. Funk, and Ayse S. Kadayifci, eds., Peace and Conflict Resolution in Islam: Precept and Practice, Washington, D.C.: University Press of America, 2001. Satha-Anand, Chaiwat, “The Nonviolent Crescent: Eight Theses on Muslim Nonviolent Actions,” in Said (2001), 195-211. Schmitt, Carl, The Concept of the Political, Chicago: University of Chicago Press, 1996. Sistàní, Sayyid ‘Ali al-Åusayní, Qà‘idah là èarar wa là èaràr, Qom: Mehr, 1414/1994u. Snyder, C. Arnold, Anabaptist History and Theology: An Introduction, Kitchner: Pandora Press, 1995. Yoder, John Howard, Nevertheless: Varieties of Religious Pacifism, Scottdale: Herald Press, 1992. Sistani (1414/1994), 11-12, reports that in both Shi‘ite and Sunni sources there is the hadith: “There is no harm and no harmfulness in Islam.” According to Shi‘i sources, Samarah ibn Jundab owned a tree access to which was only possible through another person’s property. The owner of this property objected to Ibn Jundab’s frequent passing through unannounced, and complained to the Prophet (s) about it. The Prophet recommended that Ibn Jundab should ask permission to enter when he wanted to cross through to reach his tree. Ibn Jundab refused. The Prophet offered to buy the tree, but, again, the man refused. The Prophet told the other man that he should uproot Ibn Jundab’s tree and cast it away because, “There is no harm and no harmfulness.” The narration is from al-Kafi, Vol. 5, 292. For more on Islamic peace building, see Abu-Nimer (2003). Paskins (1995), 719. This theme is explored at much greater length in a collection of articles collected by Qureshi and Sells (2003). Arjomand (1984), 61-62. An important study of the doctrine of jihad in Shi‘ism is that of Kohlberg (1976). Sachedina (1988), 111. Sachedina cites Tabarsi, Ihtijaj, 2/118; Majlisi, Bihar, 100/21. See Abedi and Legenhausen (1986), 16-21. See Abedi and Legenhausen (1986). See Yoder (1992). 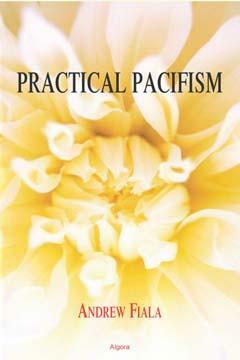 For another approach to the varieties of pacifism see Fiala (2007). This was most famously codified in Michael Sattler’s Schleitheim Confession of 1527. For the development of Anabaptist thought on the sword, see Snyder (1995). James Turner Johnson has shown how, in Western civilization, “the ideological value base for just war ideas had shifted from the religious—the church’s notion of ‘divine law’—to a secular concept of ‘natural law.’” Johnson (1975); the quote is from Johnson’s own description of this work in the preface of Johnson (1981), ix. See Schmitt (1996), 29, for the theological basis of a complete rejection of any Christian pacifism. Some of the essays collected in Hashemi (2002) make this point, including Hashemi’s own, and that of Bassam Tibi. I am grateful to Hujjatulislam wa al-muslimin Dr. Abolfazl Sajedi for a discussion in which he made this point. The reports are taken from Ayati (1985), who cites the book Balāghatun Nisa' by Abul Fazl Ahmad bin Abi Tahir, (208- 280 A.H.). Quoted by Sachedina (1988), 114, citing ‘Amili, Wasa’il, 11/400. As the war in Iraq continues and Americans debate the consequences of the war in Afghanistan, the war on terror, and the possibility of war with North Korea and Iran, war is one of the biggest issues in public debate. Andrew Fiala in The Just War Myth challenges the apparently predominant American sentiment that war can be easily justified. Even most Democrats seem to hold that opinion, despite the horrific costs of war both on the people being attacked or caught up in the chaos and on the Americans involved in carrying out the war. The Just War Myth argues that while the just war theory is a good theory, actual wars do not live up to its standards. The book provides a genealogy of the just war idea and also turns a critical eye on current events, including the idea of preemptive war, the use of torture, and the unreality of the Bush Doctrine. Fiala warns that pacifism, too, can become mythological, advocating skepticism about attempts to justify war. Andrew Fiala is associate professor of philosophy at California State University, Fresno. He is the author of What Would Jesus Really Do? and lives in Fresno, California. “Pacifism” for the Stanford Encyclopedia of Philosophy. eck the most common questions about publishing with Algora. The United States has a unique responsibility and opportunity to use democracy to end war; but, after 9/11, many can no longer imagine pacifism in any form. Practical Pacifism argues for an approach to peace that aims beyond religion toward a moral consensus that is developed pragmatically through dialogue aimed at overlapping consensus. This work is a closely-reasoned argument for a practical commitment to pacifism in light of the way in which war is currently waged. Andrew Fiala writes for a general audience interested in politics and war. His first book, The Philosopher's Voice: Philosophy, Politics, and Language in the 19th Century, was published in 2002 by the State University of New York Press. An Associate Professor of Philosophy and Humanistic Studies associated with the University of Wisconsin-Green Bay, he has written many articles for Philosophy in the Contemporary World, Metaphilosophy, Res Publica, the Internet Encyclopedia of Philosophy, and The Humanist. As American citizens, where do we stand in regard to the actions our soldiers are taking our name? Practical Pacifism looks at just war theory, the doctrine of double effect, John Rawls and Lao-Tse, utopianism and Machiavellianism, presenting a closely reasoned argument for a practical commitment to pacifism in light of the way in which war is currently waged. Pondering the question from many angles, the author argues for an approach to peace that aims beyond religion toward a moral consensus that is developed pragmatically. As American citizens, where do we stand in regard to the actions our soldiers are taking our name? The United States may have a unique responsibility and opportunity to use democracy to end war; Fiala enlists the great thinkers and the outlines of recent history to lead the debate. Like Simon Wiesenthal’s 1976 book, The Sunflower: On the Possibilities and Limits of Forgiveness, Practical Pacifism challenges the reader to define his beliefs about justice, compassion, and human responsibility. Under what circumstances is aggression forgivable? How can we be sure aggression is warranted? This book will be a stimulating resource for classes debating issues in the Middle East and the moral dilemmas that face the world’s sole superpower. Practical pacifism is not absolute pacifism; it does not reject violence in all cases. Rather, it develops out of the idea that sometimes war may be justified, even as it questions whether any given war is in fact a just one. This book attempts to articulate a certain uneasiness about the justification of war. Most of us do not know whether the wars that are fought in our names are justifiable. Most of us do not have access to intelligence information and classified documents that might help us understand the wars we fight. Moreover, history shows us that governments and the media present us with biased, incomplete, or false information about the wars we fight, the causes of these wars, and the way they are fought. War is so horrible that we should resist engaging in it until we are certain that it is necessary and justifiable; but in most cases, we simply cannot make that determination. Therefore, the thesis of practical pacifism is that we should be reluctant to consent to war, in most cases. I came to this argument as I reflected on the events of the last several years — the attacks of September 11, the US declaration of war on terrorism, the invasion of Afghanistan, and the invasion of Iraq. The more I thought about these events, the more I realized that I lacked the sorts of information I would need to make good judgments about them. The skeptical standpoint of practical pacifism can be derived from the history of warfare as well as from current events. Citizens have often been manipulated into supporting wars that were neither necessary nor just. This Socratic insight into our pervasive ignorance about the justification of war left me feeling uneasy about the military actions that Americans and our allies have all been asked to support in the last few years. We must be honest about our ignorance. We often cannot say with certainty whether a war is just or unjust. This acknowledgement of ignorance should make us more careful in our judgments about war. Recent events show us, however, how reckless people can be. In the prelude to the invasion of Iraq, many controversial claims were made on both the pro-war and anti-war sides. Critical thinkers need to learn to see through the unfounded claims and hyperbolic rhetoric made by those on all sides of such debates. The first step toward making a better world is to learn to ask critical questions — even of oneself — in pursuit of the truth. But we must still decide, and act, even when we are uncertain. The main question this book asks is: What should citizens of democracies do when they realize their own lack of certainty about the wars they are asked to support? Typically, we are told that we should stifle our doubts and trust our leaders. This response effectively asks us to give up our responsibility and judgment. But this abdication of responsibility is unacceptable: when one’s country goes to war, one needs to know that the war is a just one. Especially in a democracy, where we are asked to consent to war, we must be certain that the sacrifices and suffering that will be caused are justified. Until it can be adequately proved that a specific war is justifiable, we should continue to question and resist. The notion that we might support a war assumes that war can be just — that good reasons for going to war sometimes exist, and that war can be waged justly. The long tradition of thought about war and its justifications, known as “just war” thinking, is the jumping off point for the argument of practical pacifism.